So Simba hucked up something interesting this morning. 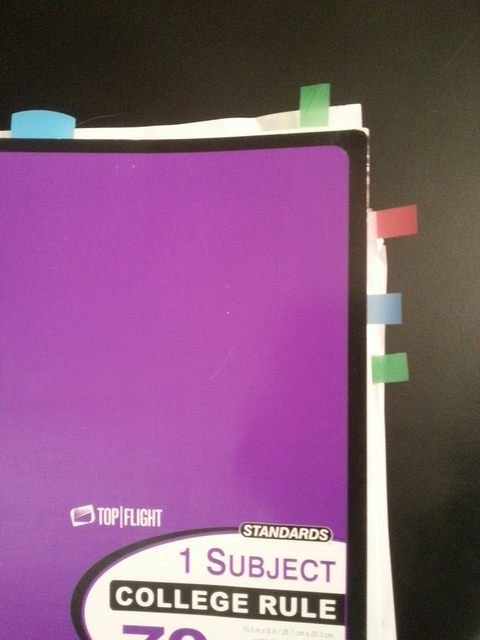 Simba’s preferred chew toy (aside from Tigger) are books, bookmarks, sticky notes and those little post-it flags. Sticky Flags – yum yum! He eats tape too. Is it the glue? What is the attraction here? I thought he did it for the attention – because it sure does get my attention when he eats my books. But this morning he hucked one up. It took me a minute to figure out what it was though, because it came back clear.